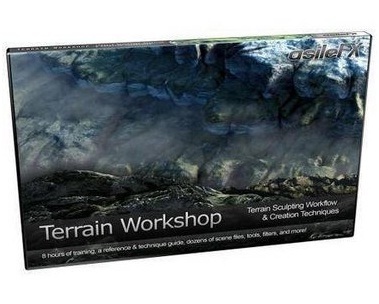 Understanding Terrains Reset Operations & Terrain Anatomy Zones & Procedural Sculpting Sculpting & Displacement Mapping Rivers Erosion Procedural Layering Fractal Distributions (custom and mixed strata) Includes dozens of scene files, filters, textures, tools, and the Terrain Workshop Reference Guide. Includes Sculpting Workflow & Techniques + Terrain Creation Techniques for Vue 8+. 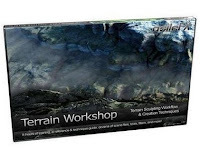 Terrain Creation Techniques for Vue 7 and 7.5 users will available soon. Includes dozens of scene files, a companion reference guide (including additional techniques and technical references), filters, textures, tools, and more! Reference guide provided in PDF and HTML formats with the option to display directly in the html training menu. To learn more about the lessons and projects in this training. Below you will find video screen shots, scene images, and some of the main topics covered in each part of the training. You can also use the topic jumps found below to navigate.